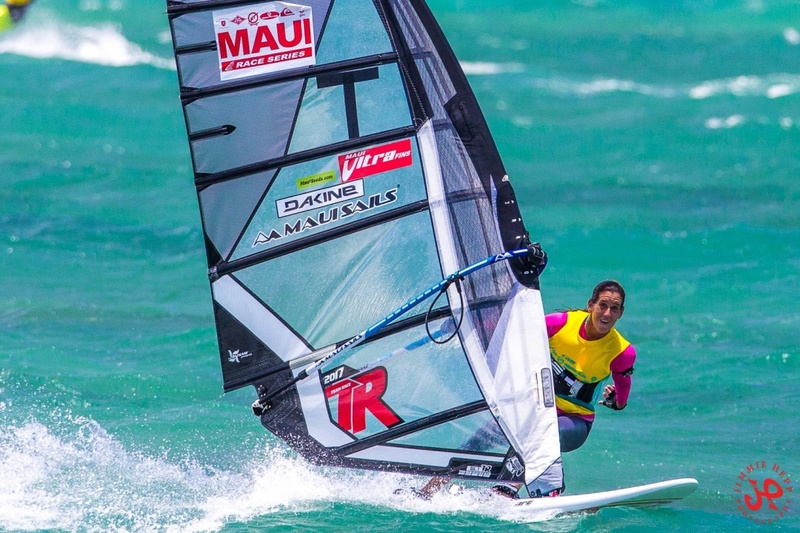 In the Womens Division and repeating as Champion, Tamara Bockius put on a faultless display of slalom racing scoring all first places in her heats beating out Johanna Lee and Sam Bittner in the 20-25 knot trade winds. Tamara will also be competing in the US Nationals next week so we will keep a close eye on the racing from Berkeley Marina in the Bay area and best of luck to her. 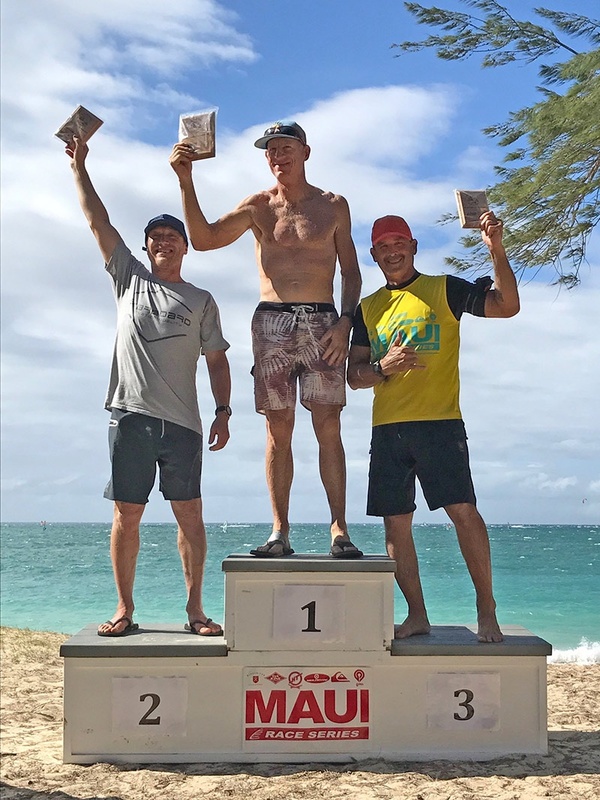 In the mens 40-59, Phil McGain got clean starts and stayed ahead of the fierce competition to score 4 bullets ahead of Xavier Ferlet from the mainland and local legend Mike Yasak rounded out the top 3. In the afternoon racing, the pro field was stacked, while Phil McGain sailed well, not making any mistakes just missed the podium with a score card of 5, 2, 2, 0.7, totaling 4.7 points, putting him in 4th place. Mark Boersma won his first state title on 3.4 points, Peter Slate in second by tie breaker on 3.4 points and Peter John on 4.7 points beating out Phil on a tie breaker for third place. 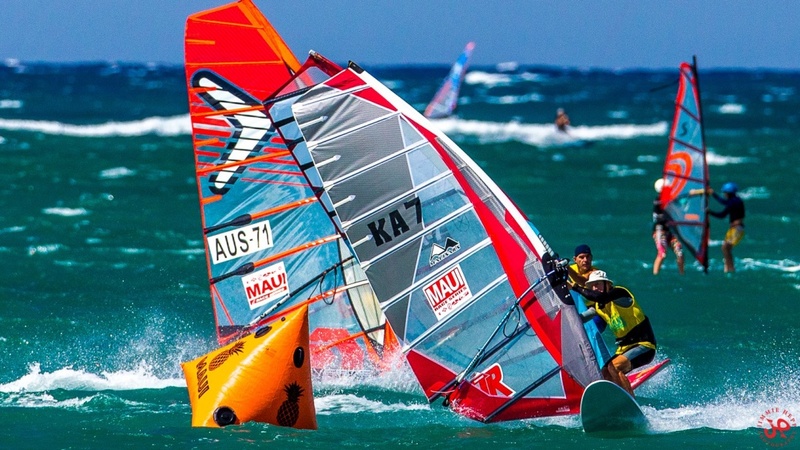 The Kanaha slalom racing series is one of the longest standing competitions in the World, with competitors from over 15 countries competing each Summer here in Maui. We want to thank all competitors and volunteers who make this fantastic events possible. Photos by Jimmie Hepp. For more photos from the event you can go to Jimmie's facebook page.